Practically every publication is coming out with best and worst lists for 2009. Heck, many came out a while ago when the year hadn’t ended yet. But with regard to business in Washington exclusively, I found Seattle Business Magazine’s “Best and Worst of Business 2009” list one of the more intriguing. What I enjoyed most about this article is that it listed several newsworthy events that I wasn’t even aware of. Thus, it helps to have a publication like Seattle Business Magazine around to aggregate business oriented happenings that shape and influence our economy – happenings that may not have been illustrated in my regular go-to reading. And with a little hindsight and perspective, I can see how these events are indeed the best and worst of business in 2009 – at least for Washington. And as I say that, it’s amazing to think about how many of these events in Washington have shaped business globally as well. Washington is lucky to have such strong stakeholders in major global industries. It is also lucky to have such strong support for locally operated small businesses and non-profits as well. And with all this success, we’re spoiled with the number of Washington based venture capital firms eager to support the next entrepreneurial idea. The Washington Business Journal even presents yearly awards to recognize the region’s best venture capital deals – based on size and significance — and the venture capital firms and individuals behind them. Entrepreneurialism is part of our culture. Photo courtesy of Seattle Business Magazine. Upon reading more about Prosperity Partnership and its blog, I came across a post referring to Governing Magazine. I wrote about Prosperity Partnership a little while ago and have come to really enjoy learning more about how the Puget Sound Regional Council is coordinating employment growth, transportation planning, and economic development in the region’s area. 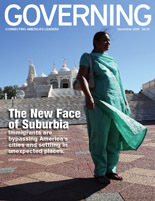 Governing (both a magazine and an online site at Governing.com) is a great publication that provides aggregate analysis on management, policy, and political issues across the nation. It also supplies a forum for leaders across geographic and institutional boundaries to share ideas, identify best practices and avoid pitfalls. Basically, if you’ve read Washington CEO Magazine in the past and continue to read Seattle Business Monthly, this publication is perfect for you. From federal, to state, to local government initiatives, Governing is the one source to go for all things current. Photo courtesy of Governing Magazine. 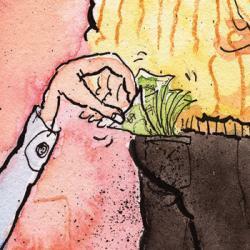 It’s the time of year for big year end bonuses and elaborate holiday parties. Though the reality is that several companies have been hard hit by the recession and are likely scaling back or not doing either. So what can a business owner or manager do to appreciate employees and improve retention, while keeping spending at a minimum? Honesty: At the start, it’s important that you be honest with your employees. Rather than tip-toeing around the subject, being up front about the budgets your working with or other workplace demands is paramount. Honesty is always the best policy. And employees are more likely to support the company and its demands if they’re given direct information about new or shifted pressures that the company is working to overcome. 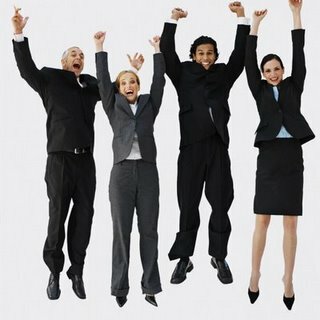 Recognition: High on the list of employee “wants” is recognition and appreciation for a job well done. Simply thanking employees can easily lead to employee engagement and retention. Respect cannot be overestimated when attracting and retaining quality employees. Soliciting Input from Employees: While companies work with reduced budgets and tighter time lines, one way to engage employees is to ask them for their input and try to solve each issue as a team. Whether it is planning a holiday party on a restricted budget, or mapping out a course of action for a new project, employees appreciate the opportunity to think creatively and be involved in sourcing solutions. Flexible Work Schedules: Given a solid understanding of the company’s expectations, many employees appreciate the ability to control their work schedules. One survey found that 38% of workers want flexible schedules as a benefit, while 32% preferred leaving work early on Fridays. Volunteering: Rather than hosting a holiday party, planning a volunteering activity for the whole company or department may be an effective way to engage your employees. Volunteering also builds a sense of community – offering the ability to contribute to a great purpose and feel rewarded at the end. Training and Education: One of the best ways to attract and retain quality employees is to invest in them, while maintaining and teaching your company’s core values. Providing employees with training and room to grow is an easy way to show appreciation for your employees while improving opportunities for business. It’s easy to recognize that despite the necessity of showing appreciation to employees, providing them with training and room to grow, and being honest with them — money still talks. Once the economy recovers (which it will), employees are not likely to stay at a company that doesn’t value them. Establish a valued relationship with employees early, before it’s necessary or too late. Hiring is just as much of a science as developing an employer culture that excites and engages employees. Showing an appreciation for your employees and offering growth oriented opportunities is an easy way to prevent the need to re-hire and the potential for reduced productivity throughout your company. Because a cherished employee is a holiday gift indeed. Photo courtesy of Houston Business Daily. Free Shipping Day represents the last possible 24-hour period when online shoppers can place their orders with guaranteed delivery by Christmas Eve. And on this one day online shopping event, participating merchants a part of Free Shipping Day offer free shipping to their customers. Luke Knowles and his wife Maisie, creators of FreeShipping.org, hatched the idea for Free Shipping Day just two weeks before the first inaugural event last December. During last year’s event, Free Shipping Day attracted more than 250 merchants and the FreeShippingDay.com website saw more than 250,000 hits in a ten day period, including 105,000 on the actual day itself – it also attracted regional and national media outlets (including Woman’s Day, Smart Money, Oprah.com and numerous newspapers and TV stations) covering the event. Given these statistics, it’s easy to see why Luke Knowles believes that “Free Shipping Day” will become a part of holiday shopping vocabulary within the next few years (like “CyberMonday”). Curious about holiday shipping deadlines for online retailers guaranteeing purchases to arrive before Christmas? Click here to see the list of online merchants and their associated shipping deadlines, even those for rushed shipments shipped after December 17th. And if you’re not a participating merchant this year, write this event down in your calendar for next year and sign-up to be a participating merchant. With all the buzz that this event is receiving, it may be worth your while to be involved. Cybershop till you drop and enjoy the discounts. To barter. 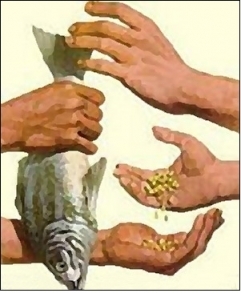 According to Wikipedia, bartering is “a medium in which goods or services are directly exchanged for other goods and/or services without a common unit of exchange (without the use of money). Today, as businesses continue to struggle to make ends meet in this stagnant economy, bartering has become an increasingly popular way to exchange goods and services – rather than transacting for them with money. “Many restaurants are using barter exchanges that track and manage the transactions, which count as taxable income and must be recorded for tax purposes. Rather than traditional bartering, in which services are swapped directly between vendors, most barter exchanges use a “round robin” approach that offers flexibility for both restaurants and service people. While researching information about the new reseller permits effective January 1, 2010 in Washington, I came across a useful sales tax blog. The Sales Tax Connection is a blog about sales tax issues around the globe; it also provides links to other applicable sites. What I like about this blog is that it is approachable. Legal speak can often be confusing, and it can often be categorized as another language. But The Sales Tax Connection discusses interesting and relevant sales tax information (Federal, State, and Local) in a digestible format. Though, all the information may not concern your business particularly, it’s a good read regardless. I found their post on “Sales Tax Holidays” to be informative – sales tax holidays are state legislation passed events where the buying public doesn’t have to pay sales taxes on purchases normally subject to the State and sometimes Local sales tax. 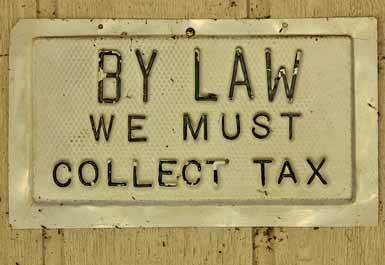 I’ve always wondered about tax-free retail sales, and now I know some of the issues surrounding their implementation. Photo courtesy of The Elliot Schlissel New York Law Blog. Reseller Permit Replaces Resale Certificate. FYI. Effective January 1, 2010, resale certificates that allow Washington businesses to purchase items or services for resale, without paying retail sales tax, will be replaced by a reseller permit issued by the Department of Revenue (Senate Bill 6173). In the past, many businesses could download a “resale certificate” entitling them to a sales-tax exemption, but on Jan. 1, they will instead have to obtain a new reseller permit by filling out an application. As a result, the WA legislature hopes to prevent over $100 million in sales tax from being exempted by those who abuse the resale certificate – of which they blame 40% on the construction industry. How do I get a reseller permit? What if I don’t get a reseller permit, but need to make purchases for resale? How long is a reseller permit valid? Resale certificates are still valid through December 31, 2009. Though, in order to begin the new year without hiccups, it’s worth the effort to apply for the reseller permit beforehand. Businesses registered with the Department before January 1, 2010 will get a permit valid for four years. Otherwise, businesses registered after the new year will get a permit valid for two years that can be renewed for four years thereafter. Just as in Scrabble, think ahead and plan your next move – luck comes to the prepared. Photo courtesy of Freehold In Jersey.